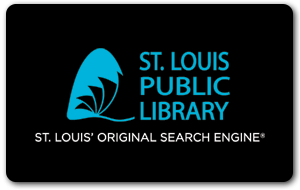 St. Louis Public Library offers adults, age 25 and older, the opportunity to earn a nationally accredited high school diploma and career certificate online through the Career Online High School (COHS) program. Applicants will need to take a two-week prerequisite course and complete an in-person interview. After the interview, the Library will select applicants who will complete two more courses within 30 days to qualify for enrollment. Once enrolled, each student will be paired with an online academic coach and given up to 18 months to complete the program. Email COHS@slpl.org for more information.